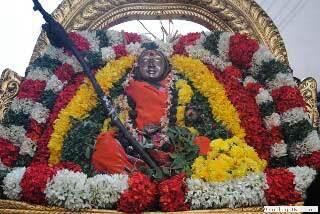 With the benign blessings of Pujyashri Shankaracharya Swamigal of Shri Kanchi Kamakoti Peetam, various dharmic activities are performed at Shrimatam and its centres. 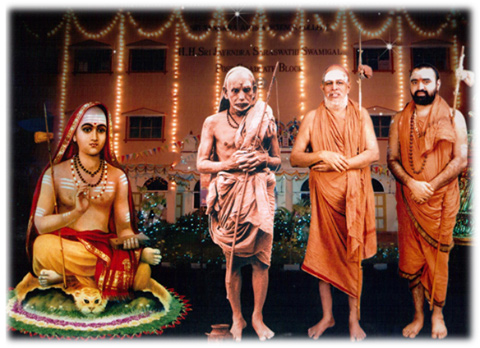 kanchimuttseva.org is an online portal being setup to enable devotees to participate in Shrimatam’s activities through online contribution. Nitya parayanam at Shrimatam - Close to 40 Veda Pandits perform Nitya Veda Parayanam (Daily evening) at Shrimatam in the Adhistanam hall. A sambhavana of Rs 100 is given per Veda pandit per day. It is our sacred duty to preserve and protect the cattle. Contributions will be accepted for maintenance of cattle in the goshalas. Annadaanam is considered among the foremost Dharmas. Homes for the elderly run at Kalavai, Poonamallee & Kalahasthi.